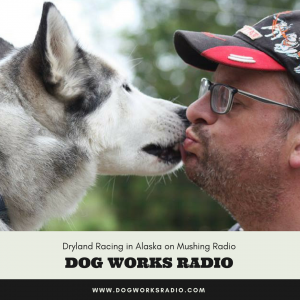 Join host Robert Forto as he welcomes Richard Meldrum to Mushing Radio. R. J. Meldrum is an author and musher. Born in Scotland, he moved to Canada in 2010 with his wife Sally. He has had stories published by Sirens Call Publications, Horrified Press, Trembling with Fear, Darkhouse Books, Digital Fiction and James Ward Kirk Fiction. He is an Affiliate Member of the Horror Writers Association. He also writes for the Sled Dogger magazine. As well as writing, he and his wife own WolfStar Huskies, a registered sled dog kennel. He is an amateur musher, having just completed his third season of competitive sledding in Ontario. As well as a variety of race events, the team also participates in the well-known Seguin Mail Run.